Austin, Texas is a wonderful city. The Oak Hill area is a wonderful community. But despite the things that makes this community so wonderful, such as our top-notch schools, there are still concerns. One of those concerns is childhood bullying. A child can be a victim of bullying anywhere. The bully could be affecting them at school. This bully may be another child in the neighborhood. Or, they could be attacking your child online. Indeed, there are certain risk factors associated with those who are most likely to be bullied. However, regardless of those factors, your child could still be subject to bullying. Bullying can be a traumatic experience that could cause your child to be filled with anxiety. It can also destroy a child’s self-esteem and overall self-assessment. Confidence will take a hit. They may try to isolate themselves socially—even family. Worst of all, your child may resort to self-harm as a way to cope. But your child can triumph over bullying. In our kids martial arts programs at Tiger-Rock Martial Arts, we incorporate anti-bullying education into our lessons. We teach kids methods to overcome bullies, which will lead to an increase in confidence and positive self-assessment. We focus on helping students overcome bullies in an effective counter-aggressive and defensive fashion. 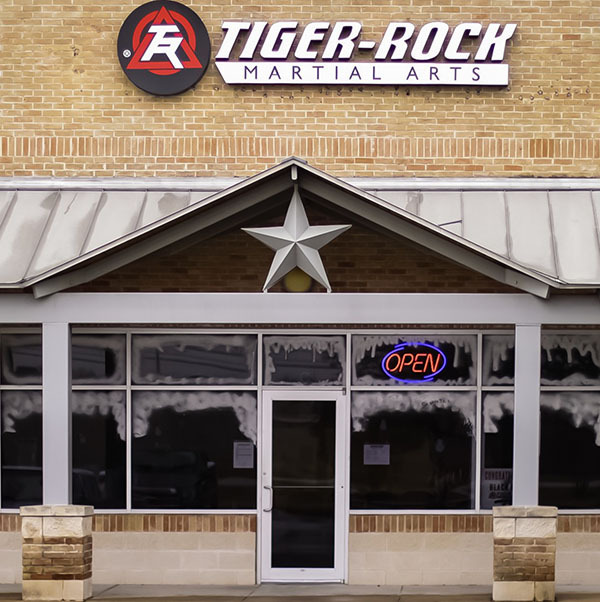 At Tiger-Rock Martial Arts of Oak Hill, your southwest Austin martial arts academy, we want to stress that our anti-bullying program does NOT promote violence. In fact, the most effective anti-bullying tactics aren’t even physical. We educate students on how to use stances, tone, and diction to convey confidence and assertion. Most important, we want your child to take control of the situation at hand. Thus, parents can rest assured we are not insisting that physical conflict is the only way to resolve bullying issues. Still, your child will learn important self-defense skills and tactics on our mat. We recognize that there will be a time your child will have to respond to a physical threat; we want to make sure their response is effective if the bully tries to escalate. Awareness, communication, and self-defense are the three most important anti-bullying tactics we teach. Children need to be aware of bullying situations. Your child needs to communicate what’s going on. And finally, your child must know when to stand their ground and defend themselves. Encouraging students to avoid being alone in areas that they could be a target for bullying, thereby decreasing risk. Resist escalating the situation. Walk away, ignore, and do not try to exact revenge. Do not keep the bullying a secret. This only makes things worse. Students are encouraged to tell an adult, friends, or other family members about the bullying. We tell students not to be a bystander. Speak up! Bullies will continue to go after others if no one does. Students should not join in on the bullying. Students should report bullying to administrators or other adults immediately. When it comes to bullying, your child cannot be silent. We encourage students to come forward to their families and friends about being a victim of bullying. Whether it is a classmate, a neighborhood child, or bullies on the Internet—parents must know. Plus, communication is an effective anti-bullying tactic. In our lessons, students learn various stances and how to use tone and diction to project confidence and stand their ground. Bullies assault a child’s self-confidence; we teach methods that will help build that confidence back up. Unfortunately, bullies will attempt to escalate the situation and potentially threaten to harm your child physically. Because of this, your child will need to know how to react. Therefore, we teach real-world self-defense on our martial arts classes for kids. Even though we do not promote violence, we still believe that your child must know how to defend themselves. Students practice and hone self-defense skills on the mat. As a result, your child will be able to apply those skills instinctively if they come face-to-face with a bully that aims to hurt them physically. The biggest benefit of all, however, is that these self-defense skills adds another layer of protection for your child. These skills help build self-confidence, self-esteem, and improves their self-concept. Tiger-Rock Martial Arts of Oak Hill teaches valuable bullying prevention tips anti-bullying techniques. 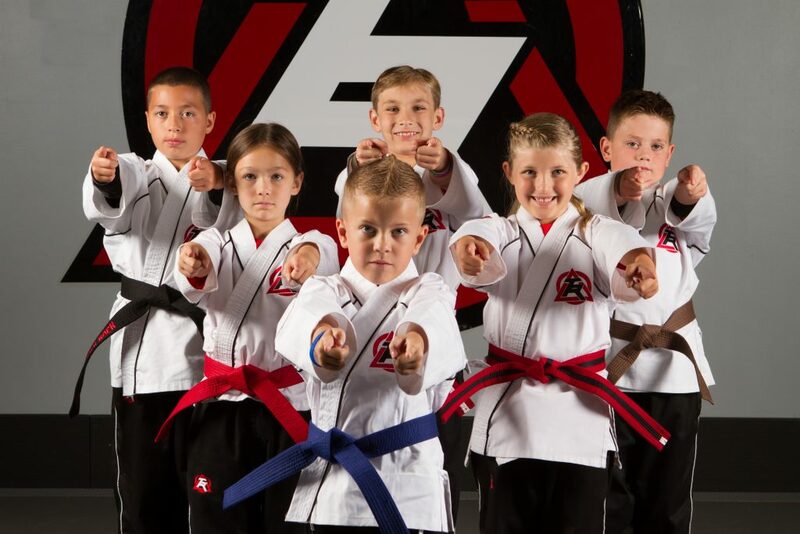 We encourage you to enroll your child in our kids’ martial arts program. Learn more about anti-bullying and bullying prevention methods at StopBullying.gov. Click here to inquire about our anti-bullying program today.